Here are all the links to the articles I've written about Zucchini. I figured I'd put them all in one place for easy access. 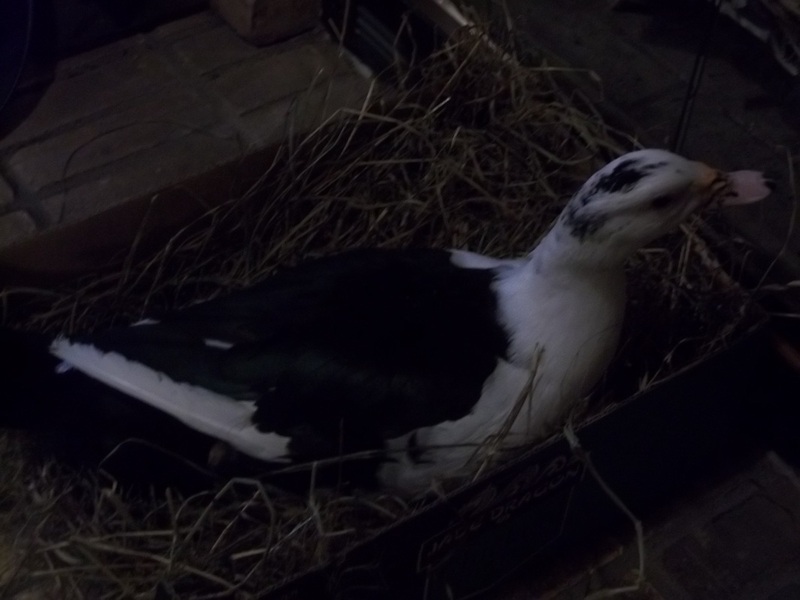 I know I love my duck too much when I try to fulfill her nesting needs at 5:30 in the morning. 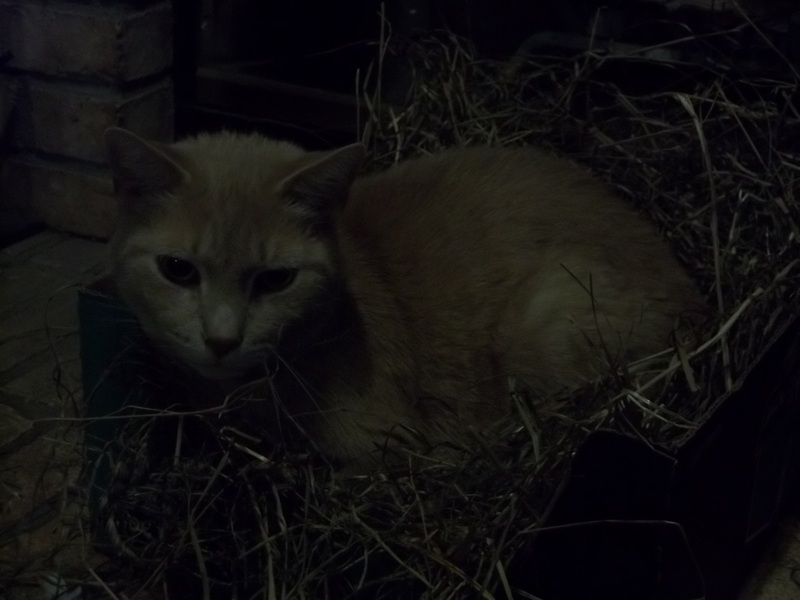 Recently, Zucchini started nesting. She would explore all over the house, especially tight areas, looking for that best nest spot. She would try to make a nest out of her blankets by pushing them around with her head and kicking them with her feet. 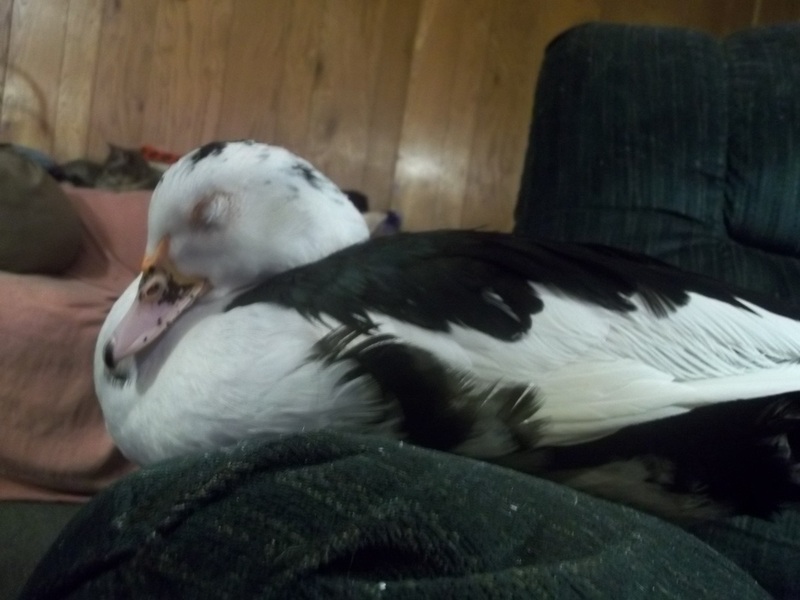 I realized this meant she was close to laying her first egg. To help her out, I gave her a box with hay in it. She liked it. She used it. That is, when Balraaj would let her use it. She has finally laid her first egg. Not in the box, but in my giant lounge chair. Guess she wanted comfort. 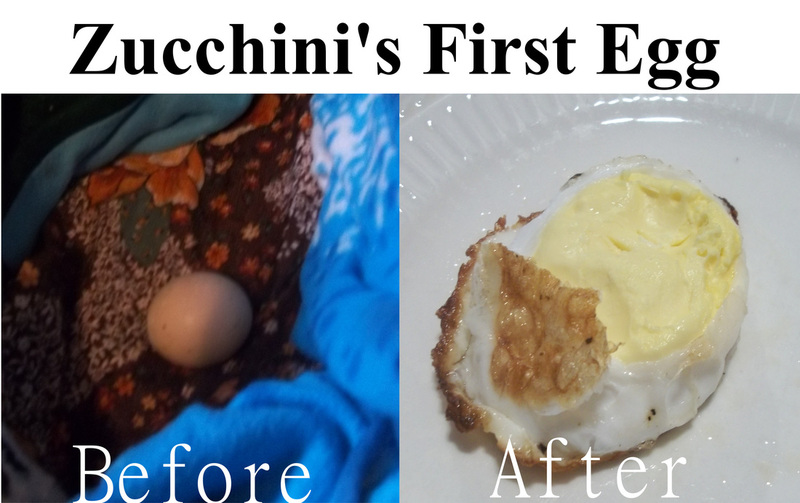 In typical Internet fashion, here is a photo of Zucchini's first egg. Zucchini doesn't like water. How can a duck not like water, you say? She's a duck! Let me explain. No, let me sum up. Zucchini is a tropical breed of duck that doesn't need lots of water. 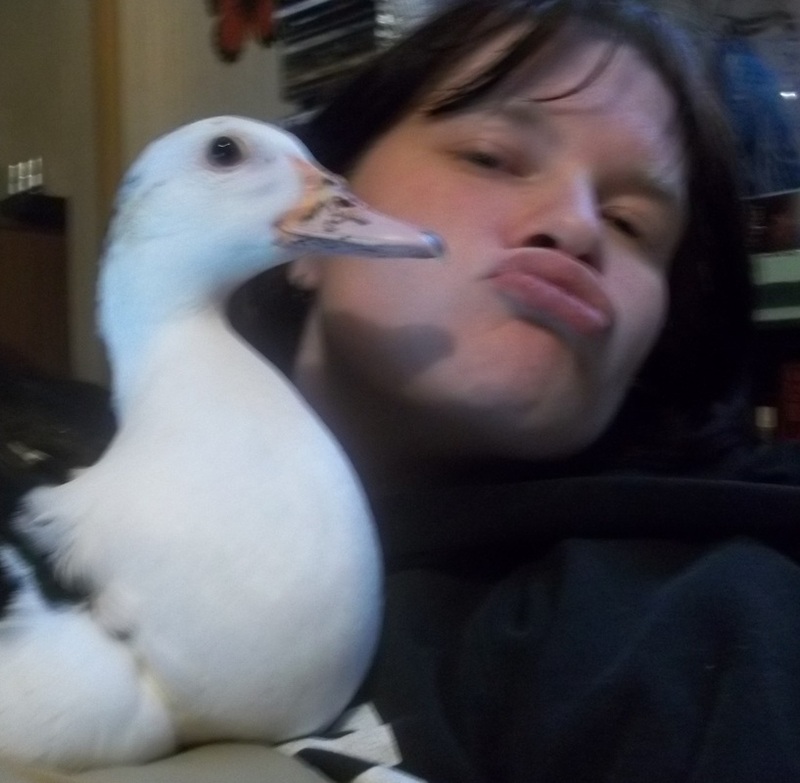 She's a perching duck. She likes heat and high places. She does need water to keep her wings smooth and soft and so she doesn't sink like a rock when she's in water. When I put Zucchini in the bathtub she quickly jumps out. She might dunk her head once, but usually she jumps out and makes a big mess. I have to give her showers instead. Yep, my duck showers. She stands under the streaming water, shakes her head once or twice, and then looks up at me like I'm the cruelest human in the world. 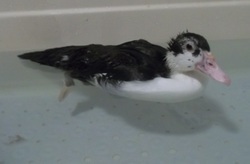 Here's where Zucchini is a strange duck: She does love to bathe. She always bathes right after a new diaper is on. How does she bathe? She uses the dog water dish. 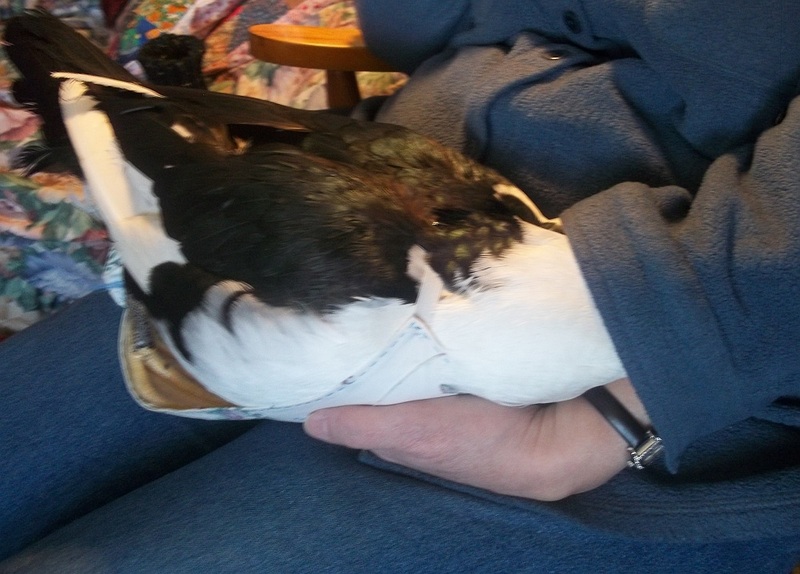 It doesn't matter that Zucchini is an adult duck now, she still loves to sleep with her head tucked into clothing or under blankets. It's like she thinks she is hiding under her mother's wing. It is beyond adorable so I thought I would share a photo of her with her head shoved up a sleeve and her foot caught in her diaper. Doesn't she look so comfy? I wrote up a post about Zucchini on my writing blog. 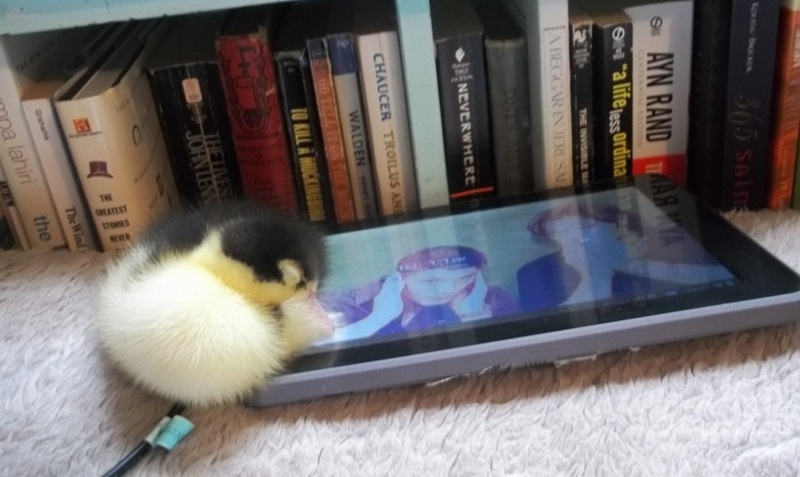 It's a good place to start to learn about that silly quacker.